Photo credit: New York World-Telegram and Sun archives, Library of Congress. Long before 9/11 became the date most identified with terrorism, New York's Wall Street District suffered through a massive bombing on September 16, 1920 that shocked the world. Italian anarchists orchestrated the bombing five days after Nicola Sacco and Bartolomeo Vanzetti were indicted on charges of first-degree murder. Out of a clear blue sky, a deadly terrorist attack in New York City brought grief and outrage. Initially, the country rallied in a wave of patriotism and vowed revenge on the perpetrators. But critics said that the government was using the terrorist threat as an excuse to curtail civil liberties. They warned that aggressive action against the terrorists would only provoke more violence and was harming America's reputation in Europe. And some charged that the president was just a puppet and the decisions were really being made by a handful of government officials who lied and twisted intelligence reports to carry out their repressive agenda. Supporters of the government policy countered that these critics were aiding and abetting the enemy while posing as champions of free speech. Strong measures were needed to crush a dangerous enemy, not naïve and craven appeasement. The church bells at Trinity Church overlooking Wall Street were striking noon. 24-year-old William Joyce, head clerk at the J.P. Morgan bank, glanced out the window at the scene outside. The busy intersection was filling with office workers heading out for their lunch break. Twin sisters Minnie and Esther Huger met up in front of the Assay office. Another pair of young sisters, Margaret and Charity Bishop, also met for lunch. Just 18, they had recently joined the work force to help support their widowed mother. Catherine Dickson stood on the sidewalk, waiting for her girlfriend, who wanted to apply for a job on Wall Street. Catherine had agreed to take an early lunch hour to help her. Lawrence Roberts, a salesman for a printing company, made a bank deposit and decided to walk to his next appointment with a client. Bernard Kennedy and Thomas Osprey walked down Wall Street, headed for the Stock Exchange building, carrying pouches of valuable securities. Like William Joyce, both young men were veterans of the First World War. The solid granite facades of the Stock Exchange, the Sub-Treasury building, the Assay office and J.P. Morgan's bank spoke of a permanence and stability that belied the insecurity faced by many American workers in the fall of 1920. The American economy was wracked by both high unemployment and sharp inflation. Lawrence Servin made a living as a peddler and today he was selling chocolates to the noon-time crowd while keeping one eye out for the cops. In 1920, it was still not uncommon to see horses and carts on the streets of New York, though few were as dilapidated and ancient as the old wooden wagon pulled by a tired old horse, that Servin saw pull up in front of the Assay office. The driver quietly slipped down and briskly walked away. The driver of the horse and wagon knew he didn't have much time to get away. And if these were his last moments on earth – well, better comrades than he had gone in the same way. The rest of his comrades were in prison, in hiding or in exile. What he was about to do was for all of them. Tutti i nodi vengono al pettine – the chickens come home to roost. At 12:01, as the last notes of the church bell died away, there came a tremendous ear-shattering explosion. A newspaper reporter walking down Wall Street from Broadway felt the concussion of the explosion before he heard it. The sound of the blast, which seemed to shake the mighty buildings all around him to their foundations, was followed by flames and smoke 100 feet high. The explosion was contained within the narrow canyon of tall buildings and whoever was unlucky enough to be in the area was trapped in the carnage. Building awnings burnt to ash in seconds. Hundreds of people were knocked off their feet. Automobiles were lifted into the air and overturned. Minnie and Esther's hair and clothes exploded into flame. Blood spattered on the walls and sidewalk. Windows shattered from ground level to nine stories in the air. Flying glass injured Ulysses S. Grant, grandson of the civil war general and president, who worked in the Treasury building. A secretary who had just stood up from her chair to answer the telephone turned and saw glass shards all over her desk and chair. The shattering glass, which one witness said covered the inside of the J.P. Morgan office ''like snow,'' was not as deadly as the chunks of hot metal which sprayed in all directions. Projectiles slammed into the side of the J. P. Morgan building, biting holes into the smooth façade. Other chunks crashed through plate glass windows, even those that were covered with security screens. One of the hot slugs killed William Joyce at his desk. Joyce was supposed to have been on his honeymoon but had postponed his wedding until October to cover for a colleague who was on vacation. James Saul, an office boy, was knocked flat by the blast. He stood up, his ears ringing, smeared and spattered with blood, some of it his own. He commandeered an empty automobile and loaded it full of injured people and made four trips to Broad Street hospital. Lawrence Roberts, the salesman, was comparatively lucky, escaping with a broken leg. Many of the injured lay unconscious on the pavement and others twitched in their death throes. Hundreds of panicked office workers ran away from the devastation pursued by billowing clouds of dust. Hundreds more people were drawn to the scene by the noise of the explosion, which was heard all over Manhattan and Brooklyn. 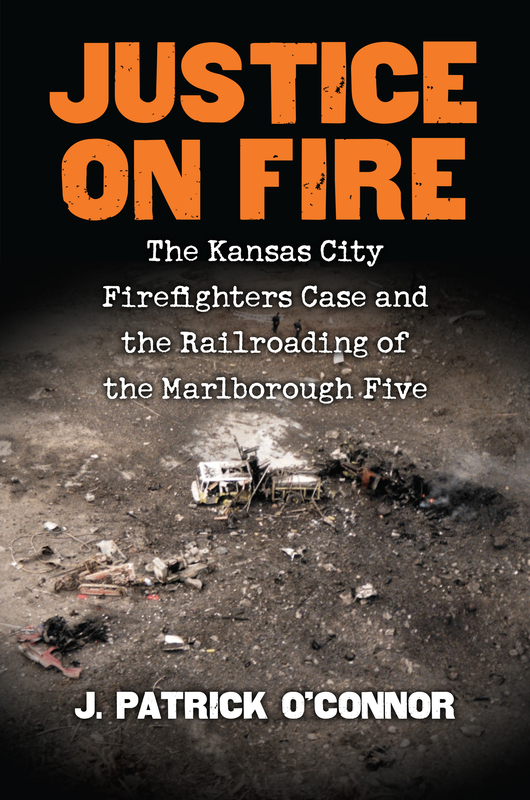 Policemen, firemen and ambulances raced to the scene over streets covered with broken glass and debris of all kinds, including maimed bodies. Soon the rescue workers lined up a row of corpses covered with car blankets from automobiles, torn awning and whatever else they could find. In addition to the frantic efforts to help the wounded, officials worried that the explosion was but a precursor to an attack on the sub-Treasury building, which stood vulnerable, its windows gone, its door smashed in. The first policeman at the scene called for all Army veterans to step forward and help push back the crowds and guard the buildings. ''Within five minutes,'' The New York Times reported, ''upwards of 500 young men had forced their way through the crowd and assembled on the sidewalk for orders.'' Later, soldiers were called in from nearby Governors Island to set up a security cordon around the financial district. By nightfall, the death toll stood at 31, with hundreds more injured. Dorothy Hutchinson learned that her husband William, an insurance broker, would not be coming home. Samuel Soloway identified the body of his 16-year-old son Benjamin at the morgue. Minnie and Esther Huger and Margaret and Charity Bishop were treated for severe burns. Minnie hung on in terrible pain until Saturday, then died. Charity survived, although scarred for life, her sister Margaret died. The driver of the wagon believed that there were but two classes of people, the oppressors and the oppressed. But the majority of his victims were chauffeurs, couriers, secretaries and bank tellers – ordinary working-class people. Some were American-born; others were from England, Ireland, Poland and Sweden. At first, officials theorized that an automobile had collided with a wagon carrying dynamite and that the explosion, the largest ever in Manhattan, was an accident. But descriptions from survivors and an inspection of the site by mine explosion experts soon convinced them otherwise. The dynamite, at least 100 pounds of it, was indeed the kind used in demolition work, but it had been wired to a timer and packed around with hundreds of small chunks of iron. And where the horse and buggy had stood there was a tangle of twisted metal and a large depression in the roadway. Police collected the jawbone and legs of the horse, still wearing its horseshoes. William J. Flynn, head of the Justice Department's Bureau of Investigation, arrived from Washington with scores of federal detectives. At police headquarters, Arthur Carey, chief of the homicide squad, asked for harness makers, livery stable owners and wagon builders to help him reconstruct the shattered wagon and identify the maker of the horse's shoes. Although hundreds of City detectives and federal agents worked on the case, they turned up no firm leads. Wealthy New Yorkers hired security men to guard their homes. J.P. Morgan, who was in Europe at the time of the blast, hired his own private detectives to try to find the killer. Across the nation, policemen were called out to guard banks and government buildings. Detectives had to sort through hundreds of leads, rumors and hoaxes. When it was reported that the Customs House would be blown up at 2 p.m. on Friday, thousands of New Yorkers gathered to watch the spectacle. Nothing happened. Postcards and letters warned of further bomb attacks in cities across America. Several letters appeared to have warned of the explosion before it happened, but they were swiftly traced to a man living in Canada who was known to be harmless and suffering from paranoia. It was only a bizarre coincidence that he predicted an explosion on Wall Street. The warning, stamped on ordinary paper with a rubber printing kit, was found in a mailbox a block away from the explosion. The mailbox was emptied around 11:30 each day, so detectives reasoned that the terrorists had dropped their message into the mailbox on their way to detonating their bomb. Before the last of the victims were buried, the newspapers declared that the investigators had run out of leads in their search for the perpetrator. In fact, Flynn and the NYPD had a very good idea of who was behind the explosion – what they lacked was the proof. The story behind the Wall Street bombings encompasses the period known as the ''Red Scare'' and led to one of the most famous trials in American history. President Woodrow Wilson faced trying times. The nation had come through the slaughter of World War I, followed by the even more deadly Spanish Flu pandemic. Returning soldiers clashed with immigrants for jobs, the newspapers were full of stories of labor unrest and general strikes, wages didn't keep up with inflation, deadly race riots broke out in Chicago and St. Louis, wartime shortages for essentials like sugar persisted and crime was rapidly on the increase. As if that wasn't enough, small but vocal groups of socialists, communists and anarchists fervently preached the downfall of the corrupt capitalist system and the coming revolution of the proletariat. Wilson, kept a clamp on vocal opposition to the war by passing the Espionage Act, which prescribed prison terms and fines for anyone who spoke out against conscription, criticized the armed forces, or otherwise gave aid and comfort to the enemy Hun. The 1917 Espionage Act was followed by the Sedition Act of 1918 which forbid ''disloyal, profane, scurrilous or abusive language,'' against the U.S. government. These laws were still in force in the summer of 1919 when Wilson appointed fellow Democrat A. Mitchell Palmer as his attorney general. Several months later, Wilson was felled by a stroke and was incapacitated for the remainder of his presidency. Many of the nation's problems fell to Palmer, including the problem of what to do about the radicals, many of whom were immigrants to the country. Palmer's Justice Department included the Bureau of Investigation, now known as the Federal Bureau of Investigation, or FBI. Director William J. Flynn, a former New York City detective, was put in charge of surveilling and catching radicals. One of Flynn's assistants, a fast-rising young civil servant named John Hoover, was in charge of assembling all information possible about radical groups throughout the United States. Hoover filed his information on thousands of cross-referenced index cards. ''Every anarchist or red in the country is ticketed and labeled like so much dry goods. He can be reached at any time,'' Palmer boasted. The public seldom distinguished between anarchists, socialists and communists, dubbing them all ''reds'' or ''Bolshies,'' although fierce debate about how best to achieve the worker's paradise raged between the radical groups. Anarchists like Emma Goldman and Alexander Berkman were the first to denounce Lenin's Bolshevik revolution because they opposed his totalitarian methods. Anarchists eschewed formal organizational structures, and were divided between those who believed in ''propaganda of the word'' and ''propaganda of the deed,'' or direct action. The Haymarket bombing in which eight policemen died was the work of anarchists. An anarchist assassinated President William McKinley in 1901. A few of the Italian immigrants who migrated to communities up and down the East Coast were devoted anarchists. The foremost Italian anarchist in America at that time was Luigi Galleani, a charismatic orator who believed that violence was necessary to overthrow the capitalists who oppressed the workingman. Galleani emigrated from Italy in 1901 and lived in New Jersey, Canada and Vermont, occasionally running into trouble with the authorities but always defiant and uncompromising in his beliefs. Flynn called him the cleverest of the anarchists. The members of Galleani's inner circle who figure most prominently in this account are Carlo Valdinoci, a tall, handsome bachelor; Mario Buda, a short, wiry man whose eyes glowed with the intensity of a true believer; Nicola Sacco, a hard-working skilled tradesman, and Bartolemeo Vanzetti, an intelligent man who preferred the freedom of casual labor, because it gave him time and energy to spend on his true passion: anarchism. The work of Galleani and his disciples had a public side and a hidden side. They spread the gospel of anarchy through newsletters, speeches, social events and plays. But an inner cadre occasionally used bombs to get the message across. Four Galleanists died while planting a bomb in a Massachusetts textile mill. A female member of the group was arrested on a Chicago-bound train with a satchel full of dynamite. Galleani himself was arrested several times for inciting labor unrest and advocating anarchy, but was always acquitted. This may have been in part because any judge trying anarchists in his courtroom could count on a retaliatory strike in the form of a bomb in his courthouse or his home. Over the years, there were scattered incidents of bombing in New York City, San Francisco, Washington, D.C., Boston, and Milwaukee. Criminal investigations and trials were hampered by the need to collect sufficient evidence. Conspiracies are by their nature difficult to prosecute – it is difficult to establish who did what. Justice officials were certain that Galleani was behind many bombing incidents. 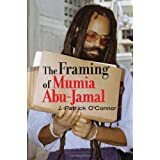 Lacking direct evidence, they could not prosecute him, but they could deport him because he was a resident alien who preached criminal anarchy and had authored a ''how-to'' bomb-making manual, cheekily titled La Salute é in Voi (The Health is Within You). In October 1918, Congress passed a new law aimed at resident aliens, the Anarchist Act. Historian and anarchist expert Paul Avrich notes the new law meant ''for the first time mere membership in an anarchist organization or possession of anarchist literature for the purpose of propaganda became grounds for eviction from the country,'' no matter how long an immigrant had lived in America. If he was not a citizen, he could be deported. In late April, three dozen small bombs destined for a cross-section of prominent politicians, justice officials, and financiers such as John D. Rockefeller were sent through the mail. Only a few of the packages were delivered. Although the design of the bombs was ingenious and the ''infernal machines,'' (as the newspapers called them) were carefully packaged to look like store samples, the plotters had neglected to add sufficient postage. Once the authorities realized that the packages marked ''Gimbel Brother's – Novelty Samples'' contained bombs, postal officials managed to intercept them. No one was killed by the few that were delivered, but when Sen. Hardwick's maid opened the package sent to his home in Georgia, her hands were blown off. Hardwick was on the anarchist's hit list because he co-sponsored the deportation bill. Like virtually all prominent men, Hardwick did not open his own mail and the punishment fell on a black servant. The anarchists intended their bombs to be delivered on May Day, the international day of revolutionary solidarity. A month later, the anarchists managed to blow up eight large bombs, nearly simultaneously, outside the homes of judges, politicians and a factory owner who had drawn their ire. Judge Albert F. Hayden of Boston, Judge W.H.S. Thompson and Judge Charles Nott of New York sent anarchists to jail for protest and conspiracy. W.W. Sibray of the Bureau of Immigration presided over deportation hearings. In Paterson, N.J., a bomb exploded at the home of Harry Klotz, a powerful mill owner. The politicians on their hit list had endorsed anti-sedition laws and deportation – Mayor Harry L. Davis of Cleveland, Massachusetts State Reps. Leland Powers and A. Mitchell Palmer. This was their second attempt on Attorney General Palmer's life. But once again, none of the anarchists' intended targets, or their wives and children, perished in the attacks and the only fatalities were a night watchman, a female passer-by, and one of the anarchists. The Washington Post averred, ''the series of bomb outrages occurring simultaneously in eight American cities may now serve as a warning as to what wavering, indecision and weakness inevitably lead to in dealing with the new brand of Bolshevik-anarchy which is fastening itself like a foul growth on the life of the country.'' Prominent labor leaders countered that while they did not condone the violence, it showed that people were being driven to desperate measures by unjust working conditions and heartless capitalists. Harvesting prison, misery, and affliction. History directs you; Science arms you. Be Bold! Redemption springs from audacious revolt! Nothing else could explain the suicidal course they embarked on with their 1919 bombing campaign. So with the public and the press clamoring for action, Palmer, Flynn, Hoover and Caminetti turned their attention to rounding up and deporting as many radicals as they could – a wave of arrests and deportations known as the Palmer Raids. Luigi Galleani and eight of his adherents were deported in June of 1919, three weeks after the June 2nd wave of bombings. The newspapers reported that ''the government has reason to believe they were concerned in a conspiracy to assassinate the President of the United States, but the evidence to that effect was not sufficient to hold up in court. For that reason there were no indictments on that charge…'' Several dozen members of Galleani's inner circle successfully eluded the federal dragnet, including Buda, Sacco, and Vanzetti, who moved around and used alibis. Most of the bruised and bewildered Russians were released but the directors of the Union of Russian Workers found themselves on a ship bound for Russia. ''To deny them the privilege of remaining in a country which they have openly deplored as an unenlightened community, unfit for those who prefer the privileges of Bolshevism, should be no hardship,'' Palmer remarked. Two thousand more aliens were being held and awaiting deportation when 70-year-old Assistant Secretary of Labor Louis Freedland Post intervened. But Post wasn't the only voice to speak up against the Palmer Raids. A committee of 12 prominent lawyers, including Felix Frankfurter, issued a ''Report upon the Illegal Practices of the United States Department of Justice,'' charging that Palmer's ''ruthless suppression'' had inflamed ''revolutionary sentiment'' and created more radicals than he caught. Although the Palmer Raids ceased, undercover surveillance and deportation of radicals continued. Eugenio Ravarino, an undercover agent working for Flynn's Bureau of Investigation, managed to penetrate what was left of the Italian anarchist movement. Acting on Ravarino's information, federal agents began to roll up the remaining Galleanist radicals, making arrests in Paterson, N.J., and Brooklyn. Two of those arrested, Roberto Elia and Andrea Salsedo, were of particular interest because they were printers who may have been responsible for publishing the anarchists' manifestos that accompanied their bombs. The two were held incommunicado, illegally, at Justice Department headquarters in New York and the evidence is that they were beaten. After several days of intensive interrogation, Salsedo confessed to their connections with the Galleanists and named other members of the group. Word reached Buda, Sacco, and Vanzetti that their comrades were being held and interrogated. The remaining Galleanists concluded that their days were numbered and most, including Sacco, made preparations to leave the country. Some have argued that one of his preparations was to acquire some cash for himself and his fellow anarchists by robbing the payroll of a shoe factory in South Braintree, Mass., where he once briefly worked. Meanwhile, Salsedo flung himself out of a 14th story window at the Justice Department. Although some, including Asst. Labor Secretary Post, believed Salsedo was murdered, this seems unlikely since he shared a room with Elias who would have been a witness to any struggle. Further, Flynn lamented that Salsedo's death hampered the investigation of the bombing campaign. It is more likely that Salsedo killed himself because he knew that he was a marked man, having betrayed his comrades. The next day, Sacco and Vanzetti were arrested and eventually charged with armed robbery and murder, resulting in the most hotly debated trial of the 20th century. Sacco and Vanzetti were not on trial for radicalism, but for killing a payroll guard and a clerk and making off with $16,000 in payroll cash. Nevertheless, it is an interesting historical question: Were they part of the bombing conspiracies of the Galleanists? So even though they were not on trial for their anarchist beliefs or any terrorist activities, the defense strategy was hopelessly compromised. From the point of view of saving Sacco and Vanzetti's lives, the defense attorneys should have focused on the crimes themselves and shown that the prosecution's evidence did not rise to the standard of proof beyond reasonable doubt. But Sacco and Vanzetti had to explain why they had lied to the authorities. They were not covering up the participation in the robbery, they explained, they were hiding the fact that they were anarchists. But this explanation brought their anarchist beliefs into the courtroom, and Prosecutor Frederick G. Katzman took full advantage of their quandary, painting them as ingrates to the Red, White and Blue, or worse. It is often asserted that Sacco and Vanzetti were deliberately framed. They were initially arrested because of suspicious circumstances that pointed to their participation in the South Braintree hold-up. One of their associates, Feruccio Coacci, had missed his April 15th deportation sailing but voluntarily left the country immediately thereafter. Coacci lived near South Braintree and Chief Michael Stewart, who was investigating the April 15th murder/robbery, wondered if there was a connection. The stolen car used in the robbery was found abandoned near Coacci's home. The police went to Coacci's home to investigate and found Mario Buda living there. Buda gave them a false name and disappeared after being questioned. The police learned that Buda had left his own car in a local garage and they asked the garage owner to let them know when he came to pick up his car. On May 5, Buda and three other men showed up at the garage. The garage owner told them they couldn't drive the car because it didn't have current license plates. While his wife slipped to a neighbor's house to phone the police, the men reluctantly left. The police sent an officer to check the Bridgewater streetcar and detain any ''foreigners.'' Although Sacco and Vanzetti had lived in the United States for 12 years, their appearance and demeanor made them instantly visible as the ''foreigners'' on the streetcar. When arrested, they were both carrying guns. Vanzetti's gun was said to match the gun stolen from the slain payroll guard. Three different brands of bullets were used in the robbery. The same three brands were found in Sacco's pocket. Although the police had probable cause to make an arrest, the trial that followed was anything but fair. Judge Webster Thayer made no secret of his contempt for the defendants, telling a friend: ''Did you see what I did to those anarchist bastards the other day? 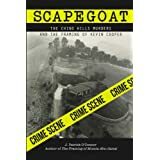 That ought to hold them for awhile,'' and a friend of Harry Ripley, the foreman of the jury, told the court Ripley said that even if Sacco and Vanzetti were innocent of the robbery/murder ''They ought to hang them anyway!'' The evidence against them was shaky, particularly the eyewitness evidence. New evidence that turned up after their conviction, including a confession from a career criminal that his gang had robbed the payroll, did not win them a new trial. Most legal analysts agree that the prosecution did not prove the case against them, particularly Vanzetti, and it was prejudice against foreigners and resentment of anarchists that sent them to their doom. According to historian William Koch, the Comintern, or Communist International – an organization controlled by Moscow whose purpose was to encourage the spread of communism world-wide – saw the useful propaganda value of the Sacco and Vanzetti case. The Comintern set up a front organization called the International Labor Defense, and collected vast sums for Sacco and Vanzetti's defense – although they kept most of the money and gave only a pittance to the two condemned men. Essentially, communists masquerading as progressives lionized militant anarchists posing as pacifists to further denigrate the United States and fatten the Comintern's pockets. If Sacco and Vanzetti were framed because they were anarchists, we are no closer to understanding why they were framed because they were anarchists. The authorities deported the most dangerous anarchist of all, Luigi Galleani, and many of his comrades. There is no apparent reason why Sacco and Vanzetti, who had no prior criminal records, should have been singled out for judicial murder as opposed to deportation. Any satisfaction to be gained by killing these two particular anarchists would be more than outweighed by the expense of the trial, the many appeals, and the condemnation directed against the State of Massachusetts and the United States by those who protested the executions. And if the authorities were in the business of framing anarchists for crimes they didn't commit, they never got around to framing anyone for the Wall Street bombing, even though federal agents picked up several likely candidates, all radicals, who would have made excellent patsies. Tito Ligi and Giuseppe de Fillipis matched the survivors' description of the driver, while Florian Zelenko was arrested with dynamite in his possession. They were all released ''for lack of adequate evidence.'' Flynn and the NYPD conducted a diligent and thorough investigation, including placing an informer next to Sacco's cell, which suggests at least a good faith effort to find the true perpetrator of the massacre. On the first anniversary of the Wall Street bombing, Flynn publicly discussed the Justice Department's theory that the bombing was the work of ''the so-called Galliani band that was centered in Paterson, N.J., but whose members became widely scattered.'' He suspected that Galleani himself, by then deported to Italy, ordered the strike. Decades later, an old associate of the Galleanists told historian Paul Avrich that Mario Buda was the driver of the wagon that blew up Wall Street. This fits what is known about Buda's movements at the time. But Buda was beyond the reach of Bureau of Investigation – he left the country after the bombing and returned to Italy. In 1927, the Mussolini government arrested him as a ''dangerous anarchist'' and sentenced him to five years in prison. The Italian anarchist movement in America was shattered by the Palmer Raids. There were a few final salvos from the anarchists – in the years following Sacco and Vanzetti's trial, bombs went off at the homes of a witness, a juror, and Judge Thayer. No one was killed. But there were no further fatal domestic terror attacks on U.S. soil until the 1970's and the emergence of a Puerto Rican independence group and the radical Weathermen. The legacy of the ''Red Scare'' era includes the American Civil Liberties Union which was founded to assist conscientious objectors in World War I and to protest anti-sedition laws that curbed free speech; and immigration quotas that favored immigrants from North European countries. A. Mitchell Palmer failed in his effort to win the 1920 Democratic presidential nomination. He resigned as U.S. attorney general in April 1921. William J. Flynn resigned as head of the Bureau of Investigation in September 1921. His assistant John Hoover, better known to history as J. Edgar Hoover, became chief of the FBI in 1924 and remained in that post until his death in 1972. Palmer, Flynn and Hoover may have won the war against radicals but they lost the verdict of history. The ''infamous'' Palmer Raids are generally condemned as an ''hysterical'' overreaction that trampled on basic legal freedoms ''illegally, brutally and viciously.'' Palmer is dismissed as a political opportunist who used the ''Red Scare'' to advance his bid for the presidency. While Flynn is largely forgotten, Hoover remains a highly controversial figure. In 1961, the Massachusetts State Police ran modern ballistics tests on Sacco's pistol and concluded that his gun was indeed used in the South Braintree robbery. However, it has been suggested that the prosecution tampered with the gun. The marks of the 1920 Wall Street bomb explosion are still visible on the façade of the J.P. Morgan building. In 1942 a right-wing extremist named William Dudley Pelley was sentenced to 15 years in prison for saying that President Franklin Roosevelt lied about the extent of the damage at Pearl Harbor. Unlike Sacco and Vanzetti, his case was not taken up by the Comintern and he did not become a free-speech martyr. During Roosevelt's presidency prosecutions suppressing free speech were brought against both Communists and Fascists. In 1916, Labor leader Tom Mooney was convicted for throwing a bomb during a parade in San Francisco, in which 10 people were killed. It is generally accepted today that he was wrongfully convicted. He was pardoned in 1939. The author is indebted to the scholarship of historian Paul Avrich. His book, Sacco & Vanzetti: the Anarchist Background, is an invaluable window into the world of the Galleanists. There is an enormous amount of literature about Sacco and Vanzetti. Historian Francis Russell argues for Sacco's guilt in Sacco and Vanzetti in Sacco & Vanzetti: The Case Resolved. Upton Sinclair re-created their story in his novel Boston. In The Untried Case, Herbert B. Ehrmann argues that the Morelli Gang, professional criminals, actually committed the South Braintree robbery. Protest: Sacco-Vanzetti and the Intellectuals by David Felix tells how Sacco & Vanzetti became martyrs. Aliens and Dissenters: Federal Suppression of Radicals, 1903-1933, by Preston William Jr., covers the Red Scare. A new book about the Wall Street bombing, The Day Wall Street Exploded, by Beverly Gage, is forthcoming.